To build a social network for your university, school or college. To set up an internal communication tool for your company. To create group of people with similar vested interests. To add new dimension to publicizing by marketing your products. WP-FB-AutoConnect: Allows your users to log in to your site through their Facebook credentials. BuddyPress Like: Enables you to add a “like” button on your site. BuddyPress Tweetstream: Allows your users to sync and post to their Twitter stream. BuddyPress Facestream: An option for your users to synchronize Facebook activities. BuddyPress Album+: Useful plug-in for allowing your users to upload photos and create albums. BuddyPress Group Documents: Plug-in responsible for offering features like file uploads and document repositories for your groups. BuddyPress Profile Privacy: Helps your users in setting privacy options on their profile data. BuddyPress Welcome Pack: Enables you to set defaults for new users, auto join them to groups or send welcome messages to make them familiar to your site. BuddyPress Group Blog: An approach to allow your groups to include a fully functional WordPress blog. 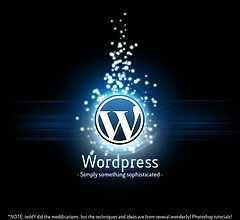 This plug-in is available for WordPress MU only. Untested with WP 3. * which has MU. BuddyPress Group Wiki: Allows you to add wiki functionality to your groups so all members can contribute to pages. BuddyPress offers simple and effective solutions for building your social empire. Take your pick and add them to your site. If you do not get satisfactory results, you can turn off these plug-ins at any time. Your site’s theme will auto adjust, showing only the menu items, pages and buttons for the features you have enabled.